If the eyes are the windows to the soul, then the driveway is the gateway to your home. As such, it should be as inviting as the rest of your home. 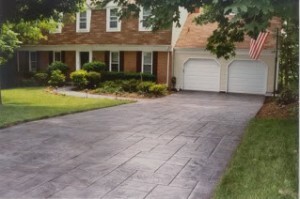 One way to create a consistently attractive driveway is with stamped concrete. 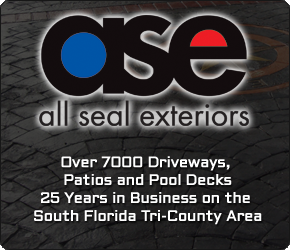 Stamped concrete is simply a concrete slab with a textured or otherwise decorated surface. Once dried, it morphs into stone or brick or even weathered wood; whatever design you choose. Here’s how it works … we mix the concrete and any desired color, pour the concrete across your driveway and smooth it out. With the concrete wet and pliable, we quickly press the pattern into the surface. If you didn’t add color to the mix at the beginning, we can also spray it on after the stamping. The patterns we create are made using a set of large, square stamps. A single pattern usually consists of several stamps, each one with varying textures and shapes, so that the overall pattern is quite broad. Unlike real stones that settle over time or real wood that may rot, a stamped concrete driveway is extremely low maintenance. It will never unevenly sink or expose grass or weeds. It is low maintenance and cost effective. Obviously, we recommend hiring a professional. Concrete sets rather quickly. And once it starts to harden, it’s difficult to apply the stamps. And because of the durability of the material, a mistake in concrete is permanent!